This apartment is in an historic part of the city, but has been recently renovated. Get some history with a modern flavour. You will love the recently renovated charm. From the polished wooden floors to the clean white walls and modern decor, it's a looker. We think it’s ideal for an adventurous couple. You'll find some amazing cafes and bars along the nearby waterfront. Sounds like the perfect place to relax on the weekends. There's space to entertain in the chic living room. Recent renovations include double-glazed windows for peace and quiet. Get some culture at the nearby museums. There isn't an elevator leading up to this apartment, but luckily it's only on the 1st floor so there aren't too many stairs. 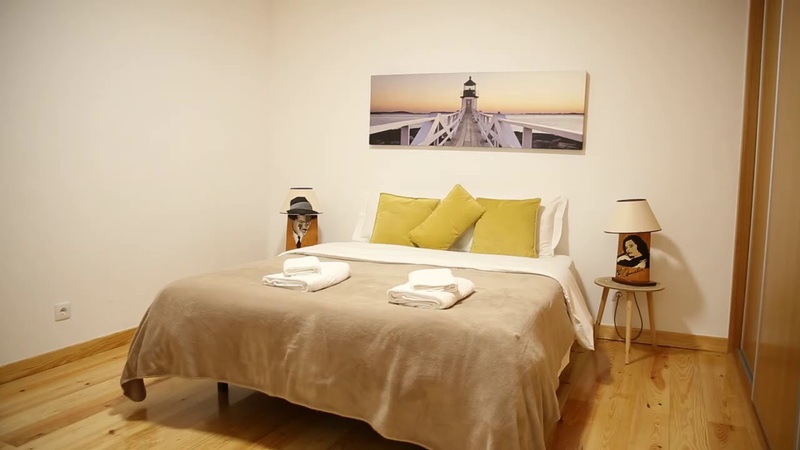 This is a recently renovated 1st floor, 2-bedroom apartment on Calçada Dos Barbadinhos, Lisbon. It boasts new, modern decor, polished wooden floors and space to entertain. We think this apartment is perfect if you're looking to live the full Lisbon lifestyle. Walk to iconic spots along the waterfront, and learn about local history at the nearby museums. Having some quiet drinks with a couple of friends in the modern living room – be social. Sleeping in on the weekends in peace and quiet with double-glazed windows – relax. Exploring Lisbon's history at the nearby museums – educate yourself. There is parking available if you have a car, but it is public parking.